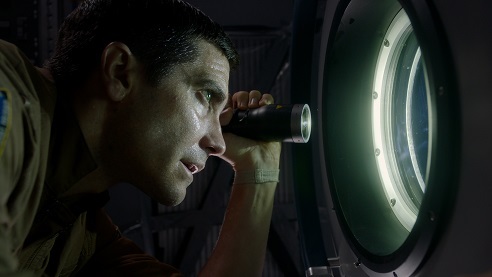 Impossible to avoid comparisons with Alien and Gravity when writing about this swift, wildly uneven film about a body-invading alien stalking the crew of the International Space Station. But although it has an A-list cast and strains for profundity, this is really a B monster movie with some excellent special effects. The set-up is neat and swift, although the execution is features the kind of logic holes that pepper the script. A return capsule containing a sample gouged from the Martian surface is knocked off course by an unlikely swarm of space debris, but not very far off course: Ryan Rogers's gung-ho engineer is able to catch it using a Canada arm during an EVA just off the ISS. The soil sample contains a slumbering single-cell organism that when woken swiftly grows in size, strength and smarts. Nicknamed Calvin (after the school of a child vox-popped about the excitement of the discovery of Martian life), it escapes from its containment in a nicely tense scene where it crushes the hand of Hugh, the hapless British biologist (Ariyon Bakare), and stalks the crew as, with communications to Earth cut off, they try to recapture it. Trouble is, while the Martian monster is nicely rendered, the script fails to make any of the crew - Jake Gyllenhaal's experienced astronaut and Rebecca Ferguson's microbiologist, backed up by Hiroyuki Sanada as a systems engineer and Olga Dihovichnaya as the mission commander - especially memorable or interesting. Despite some cool zero-gravity ballet in the cramped confines of the ISS, and a good deal of desperate hatch-slamming, it's hard to care about their peril or their fate, and the finale is almost fatally compromised by a great dollop of saccharine sentiment squeezed out of the children's book Goodnight Moon. Almost, but not quite: at the very end there's a good, grim twist that's true to the DNA of Life's B-movie creature feature progenitors. 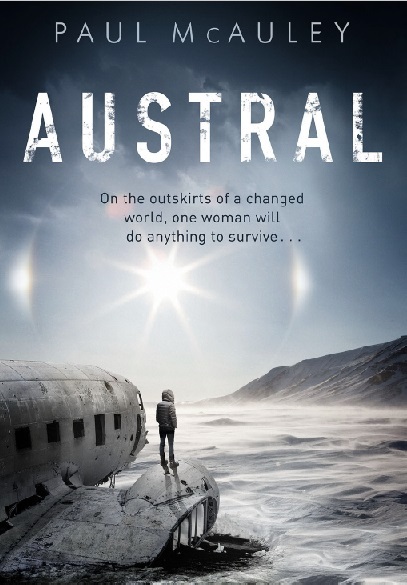 Here's the cover rough for Austral, due out in October this year. Unlike any novel I've written before, according to my editor. That's a good thing, yes?